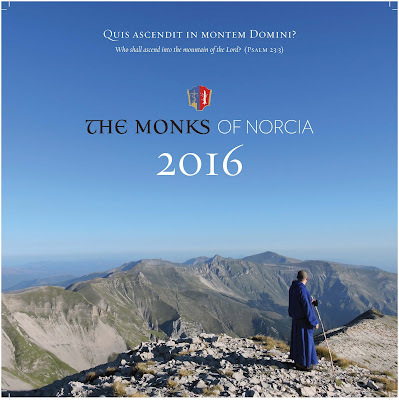 Following upon the monastic wisdom shared yesterday, courtesy of Norcia, today we can take a look at this remarkable community's 2016 Calendar. 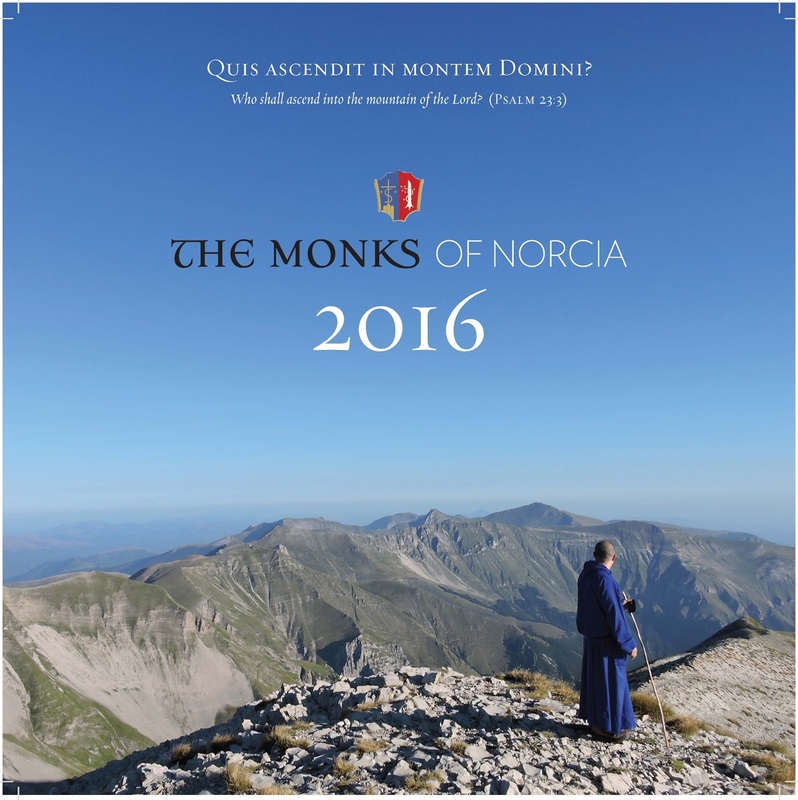 For several years running, I have been happy to announce the annual calendar produced by the Monks of Norcia. I find this year's calendar particularly beautiful, because of the harmonious integration of the photography with apt verses from the Psalms, in Latin and English. I have given some samples below in low-res, but nothing can compare with the printed version, where the photos are large, glossy, colorful, and inspiring, and the text is crisp and easy to read. 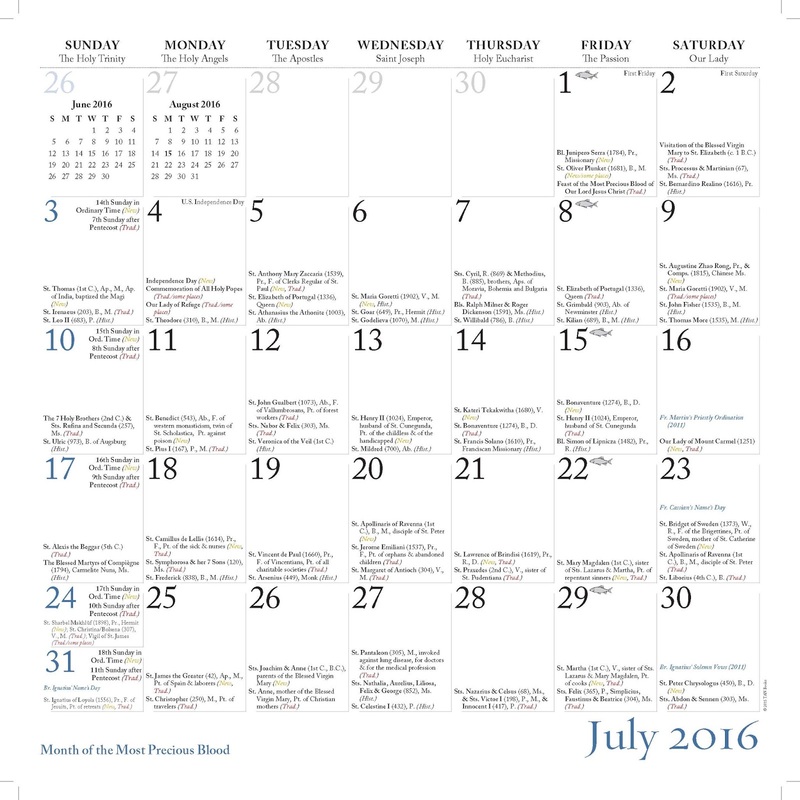 Each year the calendar has had a mix of photos (indoor, outdoor, liturgical, recreational, meditative, musical, etc. 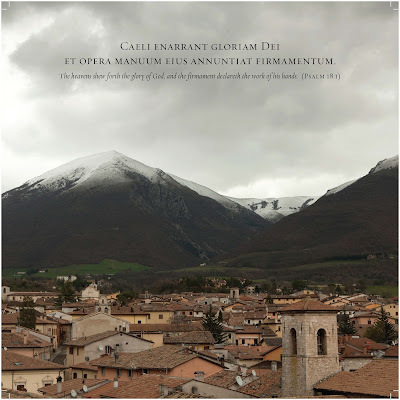 ), but this year's calendar tilts strongly towards nature, with stunning photos of the Umbrian countryside around Norcia, to which the monks go out for hikes and picnics. 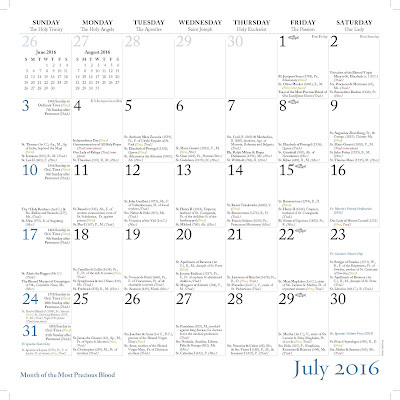 For those living in the USA, the calendar is $20 (which includes S&H). For those living elsewhere, the calendar is $30 (which includes S&H). Each year, this calendar is a major fundraising effort for the monks, and the best part of it is that you can help them by getting yourself, or someone you especially admire, a pulchritudinous, liturgically comprehensive calendar. 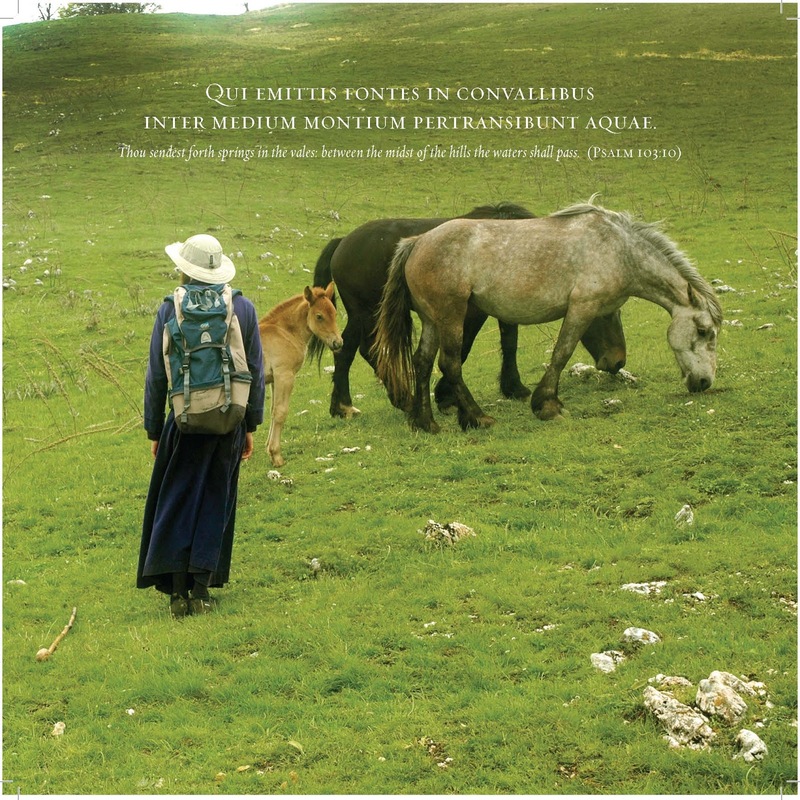 Promote the great mission of the Benedictines: ORA ET LABORA. For more information and to place an order, visit this link.